Fall has definitely hit in our part of the world this week. Cooler temperatures means hardier, stick to your bones type meals. 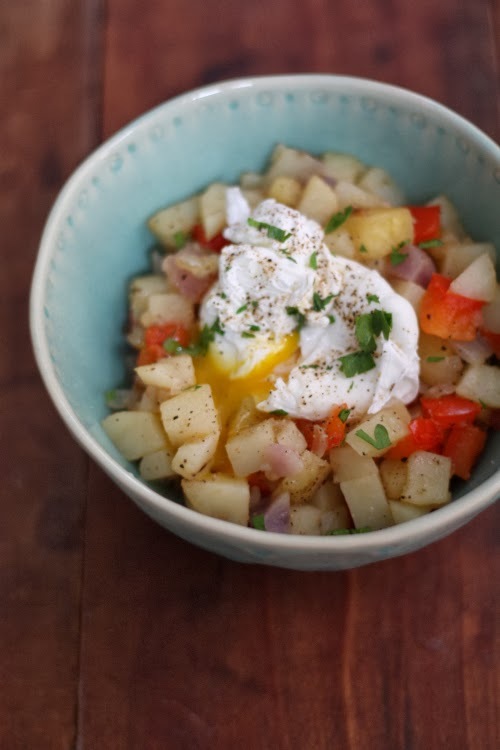 The wonderful thing about this potato hash is, you probably have all of the ingredients around just waiting to be used up — that's how some of the best skillet hashes are born in this kitchen. I happened to be overloaded with potatoes this week, so this dish created a lunch for two with enough leftover for breakfast. You can easily adjust the types and amount of ingredients to what you have on hand! Heat olive oil in a pan and swirl to coat the bottom of the pan. Add the potatoes first, tossing to coat with the olive oil. Add the onions and peppers and mix. 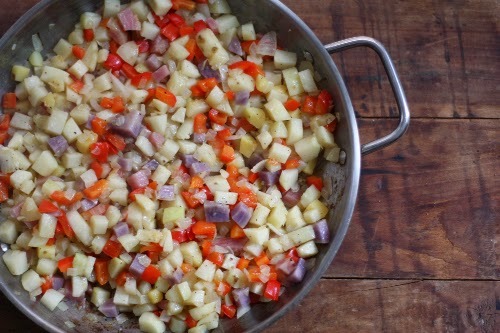 Cook over medium heat and stir frequently until the potatoes are done (about 20 minutes). 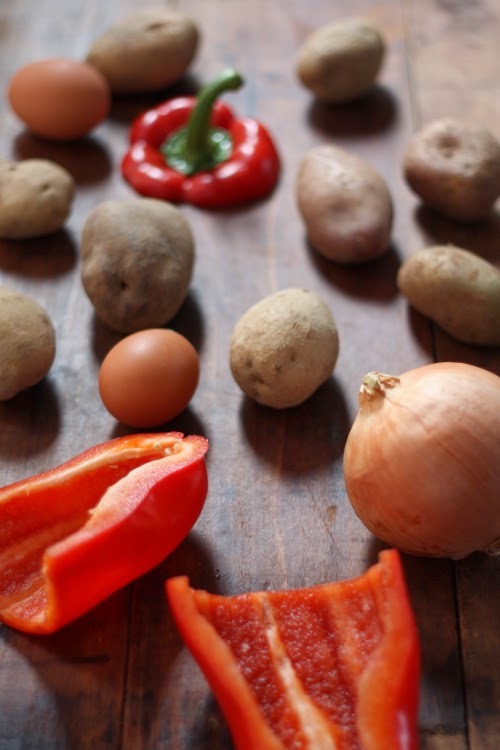 While the potatoes are cooking, you can prepare your poached egg. 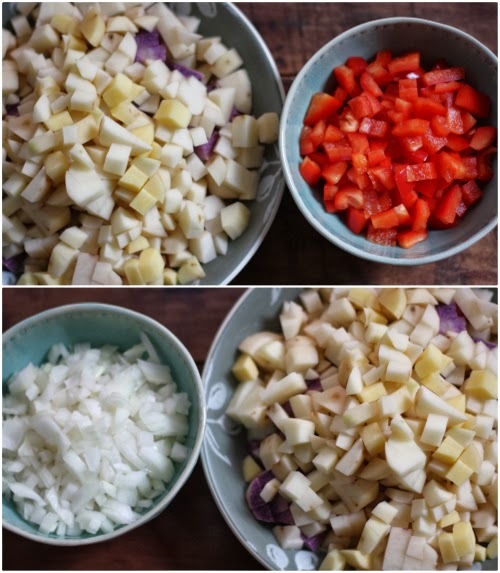 If you want a crisper potato, continue to cook until they brown and crisp on the edges. Add salt and pepper, mixing well. 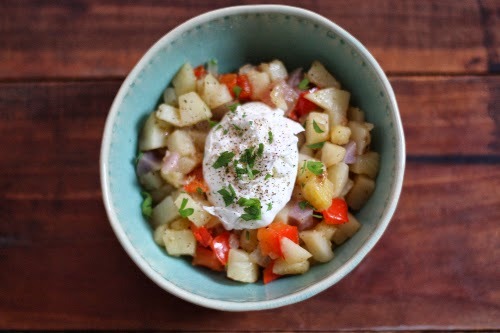 Ladle potato mixture into a bowl and top with the poached egg. Add a dash of hot sauce and garnish with parsley — that's it! Sit back and enjoy this bowl full of comfort. This meal can also be turned into something more substantial by dicing up some keilbasa and frying it up in the pan before adding the potatoes. What comfort foods are you looking forward to early this fall?